One of the most beautiful tree fruits, we have nine varieties of Sweet Cherries at Parlee Farms in Tyngsboro, MA (north of Boston, MA) covering about 1.5 acres. The 1,400 trees are on a full-dwarf root stock, so they are easy for everyone to harvest. We have seven varieties, with the primary varieties being Black Gold and Regina ~ both sweet, red cherries which grow well at our location. 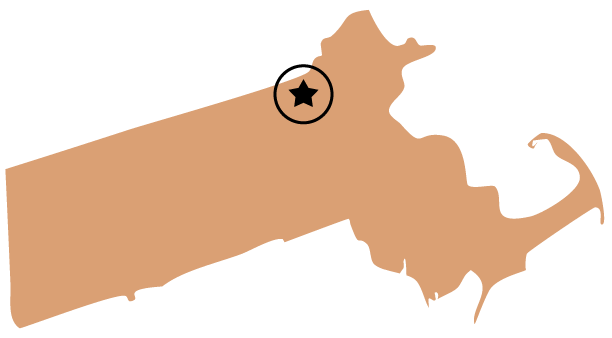 Massachusetts Cherries have a very short season – only a couple of weeks from late June – mid July. The pick your own cherries season can be further reduced by weather conditions, especially rain when the fruit is present. So, we hope you can enjoy this wonderful fruit in the short time it is available! 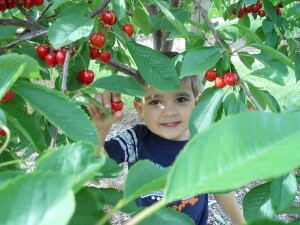 When cherries are available, picking conditions and pricing can be found at TODAY’S FARM NEWS. Thank you! Cherries are very perishable and do not ripen after picking. So pick fully ripe cherries and refrigerate soon after purchase. These can remain fresh in your refrigerator for at least 2 days. Studies have shown cherries to have plenty of health benefits! They are high in antioxidants, are low in cholesterol, fat, and sodium. They are also a good source of Vitamin C and fiber.